The Victoria Rose is a beautiful labor of love. With over 300 hand set diamonds constructed underneath a microscope, this is a true work of art. The result is five rows of the smallest perfectly symmetrical, perfectly calibrated, round faceted stones. Douglas Elliott created this ring in order to accentuate the beauty of the center stone by creating a beautiful basket to hold the diamond and to explore the potentials of his micro pave work. 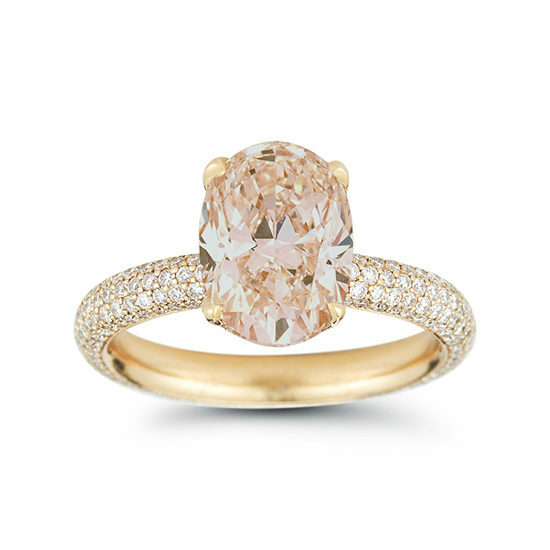 Shown here in 18k rose gold with a 2 carat oval cut Morganite center stone with 2.36 carats of micro pave diamonds. Available in all stone shapes from 0.75 carats on up. 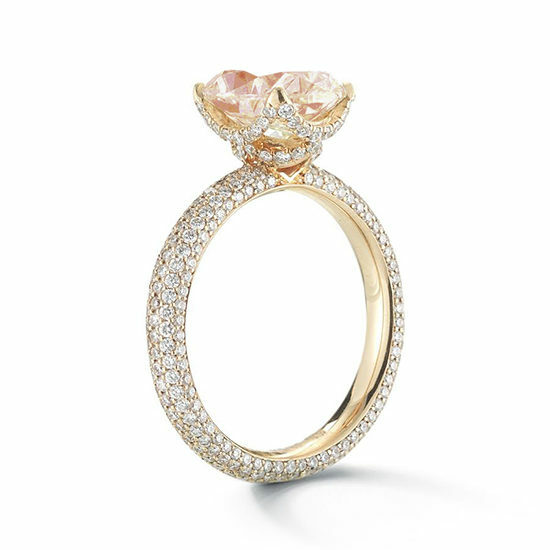 This setting is meticulously sculpted in either platinum, 18k yellow gold, or 18k rose gold. Please contact us to schedule an appointment with a diamond specialist and explore the different options available to you. We look forward to creating your perfect ring.